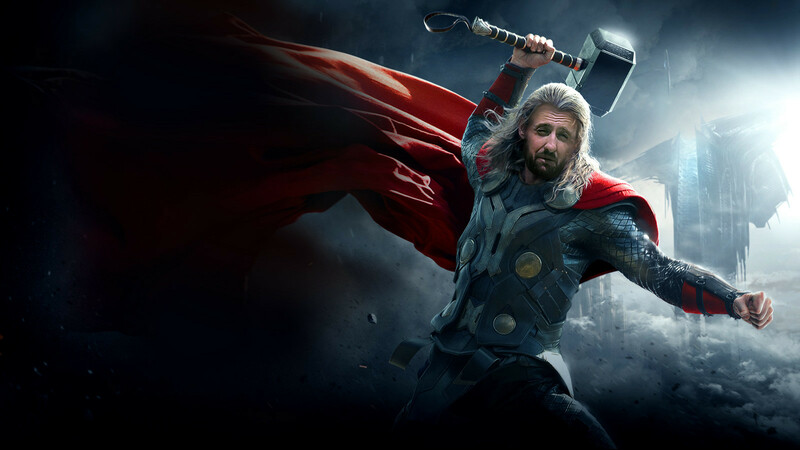 Will the ROG Thor take a hammer to its opposition? During their Computex 2018 Press Conference, ASUS officially revealed their Republic of Gamers Thor power supply, the brand's first entry into the DIY PSU market. The Thor is designed to offer users 80+ Platinum grade performance, a full 10-year warranty and support for both ASUS' Aura Sync lighting technology and an OLED power readout display, which monitors power use and displays it on the side of the unit. The power supply will ship with 1200W of available power, offering users more than enough thunder for any modern gaming setup, even those that make use of multiple graphics cards. The unit will also be cooled using an IP5X-certified 135mm wing blade fan and a 0dB cooling mode. Each of the RGB LEDs on this unit is individually addressable using ASUS' Aura app, allowing system lighting to be adjusted to suit the user's preferences. Sadly, ASUS' side mounted OLED screen cannot be adjusted to offer anything aside from a PSU power readout, making it less customisable than ASUS' new ROG Ryujin and Ryuo AIO liquid cooler. As you can see in the image below, we can see that ASUS has taken the cooling of their Thor series power supply seriously, with ASUS claiming that ROG Thor runs cooler than competing 1200W units, helping ASUS achieve increase longevity for their components. This attention to detail is one of the reasons why ASUS can offer a full 10-year warranty with their first ever high-end power supply. At this time ASUS has not revealed the pricing or release date of their 1200W 80+ Platinum Thor Power Supply. ASUS' Republic of Gamers UK team as said that UK gamers could expect to see everything announced at Computex "soon". You can join the discussion on ASUS' 1200W ROG Thor series power supply on the OC3D Forums. As a huge fan of Thor. I'm interested. Add a little bit of lightning to it and then the PSU in front of him as if he's striking it.